ADELHEID M. ATKINS, born in Vienna, Austria, emigrated to the United States in 1948. She received her Ph.D. in Comparative Literature from the University of South Carolina and is teaching in the Department of Languages and Literature at Augusta College, Augusta, Georgia. 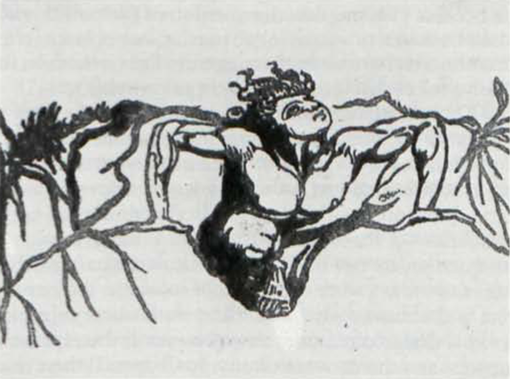 DAVID BINDMAN, Reader in History of Art, Westfield College, University of London, is the author of Blake as an Artist (1977) and William Blake: His Art and Times, catalogue of the recent Blake exhibition at Yale and Toronto. V. A. DE LUCA is Professor of English at the University of Toronto. He is the author of Thomas De Quincey: The Prose of Vision and is a co-editor of the forthcoming Oxford Anthology of Poetry in English. RUTH E. FINE is a curator in the Department of Graphic Arts at the National Gallery of Art, Washington, D.C. From 1970-1980 she was curator of Alverthorpe Gallery which housed the Lessing J. Rosenwald Collection (now divided between the National Gallery and the Library of Congress). 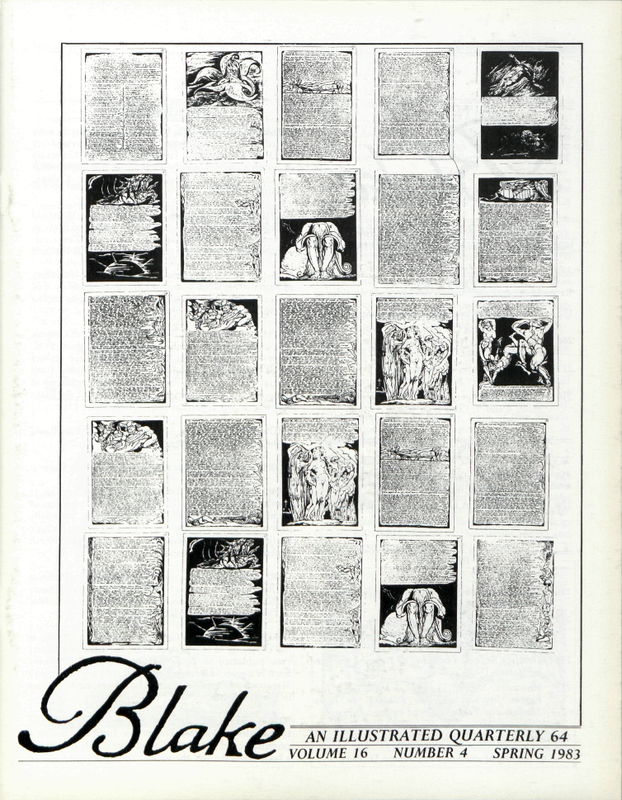 In 1975 she compiled a checklist of the Blake material in that collection (Blake Newsletter, 35). THOMAS V. LANGE is Assistant Curator of Rare Books at the Huntington Library. MORTON D. PALEY was a friend of Sir Geoffrey Keynes. JOHN WILCOX is an Assistant Professor of Spanish at the University of Illinois (Urbana), where he specializes in twentieth-century Spanish Peninsular poetry, especially that of Juan Ramon Jimenez. His publications include studies of Jimenez’s readings in English and North American poets and writers. CARL WOODRING, George Edward Woodberry Professor of Literature at Columbia University, has written on nineteenth-century authors and a few others. He is the editor of Table Talk in the Collected Coleridge. WARREN KEITH WRIGHT took his MA in English at the University of Michigan in 1980, the same year Clover Press published his first collection of poetry, Orchards. For 6 ½ years he served on the editorial panel of Green’s Magazine in Detroit. At present he is finishing a novel set in the mid-South. JOSEPH VISCOMI, Assistant Professor of English and Humanities at Virginia Polytechnic Institute, is also a printmaker and a Mellon Fellow at Cornell. He is finishing a book on Blake and the idea of the book. Editors: Morris Eaves, Univ. of New Mexico, and Morton D. Paley, Univ. of Calif, Berkeley. Editorial Assistants in charge: Marcy Erickson, Susan Corban, Univ. of New Mexico. Editorial Assistants: Peter Chase, Leslie Donovan, Barbara Guth, Univ. of New Mexico. Subscriptions are $15.00 for 1 year, 1 volume (4 issues). Special rates for individuals, $12.00 for 1 year surface mail subscriptions. Air mail subscriptions are $10.00 more than surface mail subscriptions. U.S. currency or international money order if possible. Make checks payable to Blake / An Illustrated Quarterly. Address all subscription orders and related communications to Marcy Erickson, Blake, Dept. of English, Univ. of New Mexico, Albuquerque, NM 87131, USA. International Serial Number is 0006-453x. 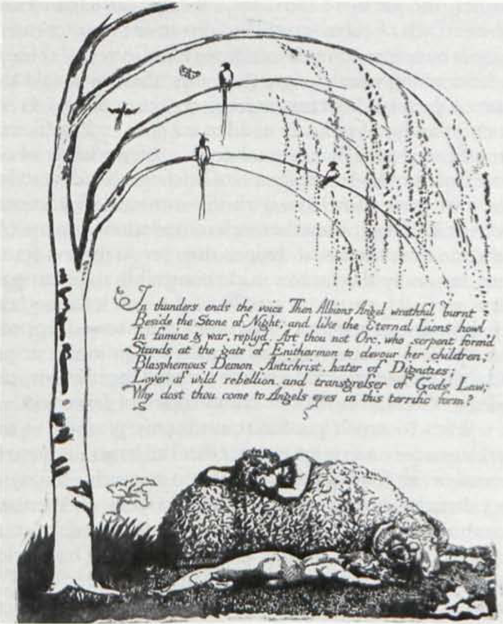 Blake / An Illustrated Quarterly is indexed in the Modern Language Association’s International Bibliography, the Modern Humanities Research Association’s Annual Bibliography of English Language and Literature, English Language Notes’ annual Romantic Bibliography, ARTbibliographies MODERN, American Humanities Index, and the Arts and Humanities Citation Index.